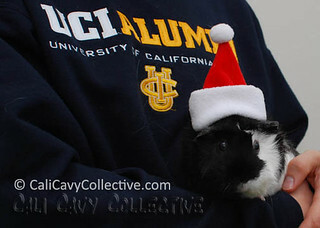 "Giddy up, giddy up let's go..."
Revy decided to oblige our humans by posing for a few holiday piggy snapshots. She was unusually well behaved for all of approximately five minutes, which is a record for her! 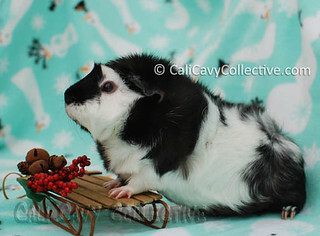 Unlike Truffle, who decided she did not feel like humoring our humans, and so decided to show the camera her rear and drop a few beans instead. "Giddy up human! Weren't you paying attention to the song?" 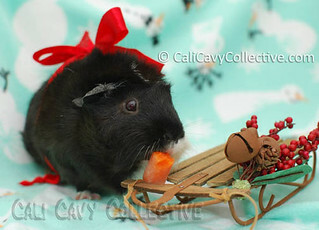 What a Christmassy looking Revy!